Having an allergy to flea bites or flea allergy dermatitis (also called Prurtius) is one of the most common skin issues with dogs. Flea allergy dermatitis can occur at any age but usually develops when dogs are young, between one and five years of age. Most of the fleas that occur today are cat fleas, which is why some dogs can be hypersensitive to them. To reproduce the flea must have a blood meal. It bites its host, your dog, and introduces saliva into the wound. The allergic reaction is to proteins in the saliva. Most dogs can tolerate one or two flea bites, but a dog with flea bite hypersensitivity can’t tolerate even one. Because the flea bites and then jump off your dog, you may not even see a flea. The first you notice is your dog starting to bite and chew. Scabs, hot spots of sore skin and bald patches start to appear. The damage is typically around the rump, base of tail and back legs. But can also occur on the front legs and paws. Pruritis in your dog can also lead to a condition called Neurodermatitis, this is more a behavioural issue and is the compulsive need to scratch or lick excessively. The constant licking will cause a raised hot spot of hard skin called a granuloma. Another issue with excessive licking and biting is the sores becoming infected. If this is the case then the vet is likely to prescribe antibiotics as well. It can be frustrating to say the least, when your dog starts to display these issues, and because you don’t always see the flea on your dog it can send you off in a completely wrong direction when you start to try and diagnose the issue. Minnie has flea allergy dermatitis, she will be three this Christmas and has never presented with a problem before. The first we noticed something was amiss is when she seemed to lose her long pants. We put this down to her blowing her coat and getting her new ‘big girl coat’ which tends to happen at age 2 as well. But then hot spots and sore skin started to appear, followed by bald patches on her hind & front legs and her back end. Scratching and biting seemed increased beyond anything that could be called normal. The vet was very quick to diagnose flea allergy dermatitis, prescribed a drug called Apoquel and advised that we would need to use chemical flea control. Anyone who reads our blog regularly will know I am not a fan of spot on flea products and don’t tend to use them on my dogs. But, Minnie was such a state that we had to go with it. This drug is very effective very quickly, but it does have a ‘concerned press’ and is not recommended for long term use. Minnie had a two-week course and within a day she had stopped biting. We also used the spot-on flea control (Advocate) as well. Once over the initial issues we need to look at controlling the condition. Flea allergy dermatitis goes beyond normal flea control as one bite can send her into a spiral of itching and biting. We have continued with the Advocate for the time being at least, and now give her a regular small dose of antihistamine. You don’t need to buy this from the vets, you can use OTC human antihistamine. We give Minnie a quarter of one tablet every other day. Check the dose for the size of your dog. We also had our large woolly cats clipped and bathed and made other environmental changes to help minimise the risk of flea infestation. The change in Minnie has been dramatic. Her fur has grown back on her legs and bum. Her pants are not fully returned but are showing signs of making a comeback. But the biggest change has been in her mental health. She is happy and running around like a pup again. Keen to get out and play ball. 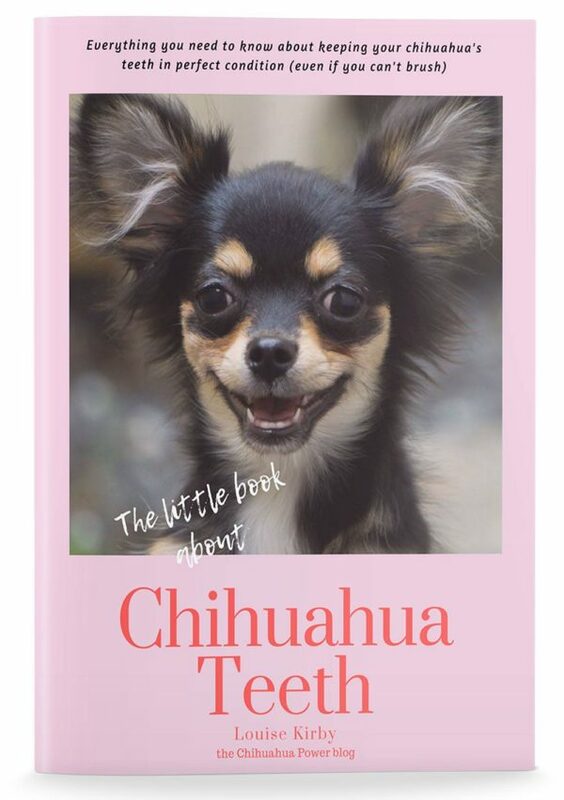 Previous Post 9 things your must do with your chihuahua puppy from the off! Our Chi, has flea treatment from the vet but still scratches and bites. I comb him all the time but have not found any fleas, he has not any symptoms of the flea allergy, no fur loss or sores etc. He does have dead fur coming out. He could have other allergies, possibly a mite infestation, a skin yeast infection or just a dry coat. 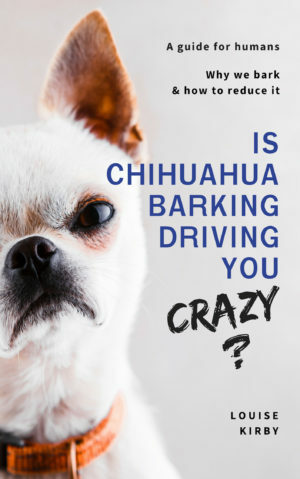 There are lots of reasons your chi might be scratching and it can be challenging to sort out. If your chi is fed dry food, I would make a change there. Some of the ingredients in dry food can cause allergies. We have several articles on the blog that could point you in the right direction.